That’s it folks! The 2018 Winter Olympics concluded it’s final 15 minutes with a spectacular dance party hosted by DJs Raiden and Martin Garrix – with heaps and heaps of dancing along the way (we wouldn’t have expected any less from the country that brought us K-Pop!). Check out 10 PyeongChang highlights via The Guardian and we’ll see you for the 2022 Winter Olympics in Beijing. The 2018 Winter Olympics starts on the 8th February from Pyeongchang, South Korea, with the opening ceremony starting at 1100 GMT on Friday 9th Feb. This is predicted to be the coldest ever winter Olympics and temperatures could drop to -13 Celsius during the opening ceremony! 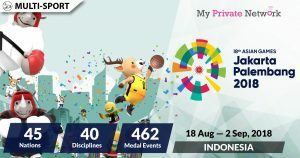 The games will see 93 countries compete in 15 sports over 17 days, so take a look through the schedule below and choose your favourites. We’ll be looking out for the Ski Jumping, Alpine Skiing, Snowboard and Luge, but I think the feel good story for 2018 will be the Nigerian women’s bobsleigh, yup Cool Runnings II! Live Stream: Starting on 8 February (Thursday) at 00:05GMT. Watch the best moments of The Winter Olympics from BBC. Watch all live and on demand Winter Olympic events from Eurosport. Watch all live and on demand Winter Olympic events from NBC Sports. NBC Sports Winter Olympic Programme. Watch all live and on demand Winter Olympic events from CBC. Watch all live and on demand Winter Olympic events from C1R/1TV.ru. C1R/1TV.ru Winter Olympic Programme & Schedule. 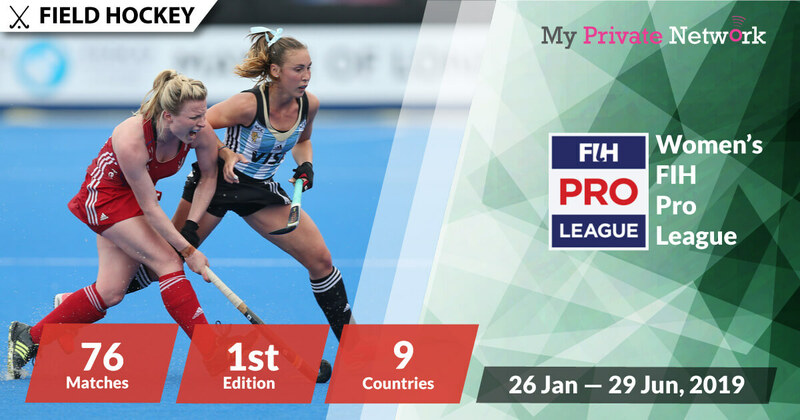 If you’re not currently in your local country of U.K, U.S, Canada, Russia, Germany, France, Switzerland, India, or Australia then you’ll need to connect to our VPN first before streaming the matches from your usual providers. 2) Install our VPN on any device that you’ll be using to watch the PyeongChang 2018 Winter Olympics. 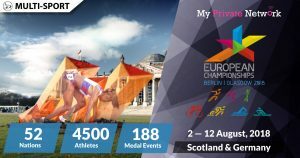 3) Connect to our U.K (GBR) servers for BBC and Eurosport, U.S (USA) for NBC Sports, Canada (CAN) for CBC, Russia (RUS) for 1TV.ru, Germany (DEU) for ARD and ZDF, France (FRA) for France.TV, Switzerland (CHE) for SRF, India (IND) for HotStar, or Australia (AUS) for Channel 7. Watch the best moments of The Winter Olympics from BBC. Whilst BBC doesn’t charge for their content, you’ll still need a BBC account to access them. Learn how to sign up for free here. Don’t forget to connect to our U.K (GBR) servers first before starting the stream! Tip: Winter Olympics will be airing live from 8 February 2018 with Road To The Winter Games on BBC Two followed by coverage of the opening ceremony on BBC One. Watch all live and on demand Winter Olympic events from Eurosport. Eurosport requires a paid subscription to access their content. Don’t forget to connect to our U.K (GBR) servers first before starting the stream! Tip: Winter Olympics will be airing live from 8 February 2018 on Eurosport Player. Watch all live and on demand Winter Olympic events from NBC Sports. You’ll be required to sign in to your local providers such as AT&T, Comcast, and etc. before accessing their content. Don’t forget to connect to our U.S (USA) servers as well before starting the stream! Tip: Winter Olympics will be airing live from 8 February 2018 on NBC Sports Gold. Click here for a direct link to NBC Sports Gold. Watch all live and on demand Winter Olympic events from CBC. Don’t forget to connect to our Canada (CAN) servers first before starting the stream! Tip: Winter Olympics will be airing live from 8 February 2018 on CBC. Watch all live and on demand Winter Olympic events from 1TV.ru with Russian commentary. Don’t forget to connect to our Russia (RUS) servers first before starting the stream! Tip: Winter Olympics will be airing live from 8 February 2018 on 1TV.ru. Watch all live and on demand Winter Olympic events with German commentary from ARD. Don’t forget to connect to our Germany (DEU) servers first before starting the stream! Tip: Winter Olympics will be airing live from 8 February 2018 on ARD’s Sportschau. Click here for a direct link to ARD’s Sportschau. Watch all live and on demand Winter Olympic events with German commentary from ZDF. Don’t forget to connect to our Germany (DEU) servers first before starting the stream! Tip: Winter Olympics will be airing live from 8 February 2018 on ZDF. Watch all live and on demand Winter Olympic events with French commentary from France Télévisions (France.TV). Don’t forget to connect to our France (FRA) servers first before starting the stream! Tip: Winter Olympics will be airing live from 8 February 2018 on FR2. Click here for a direct link to FR2. Watch all live and on demand Winter Olympic events with German commentary from SDF. Don’t forget to connect to our Switzerland (CHE) servers first before starting the stream! 1) Head to the SRF website. Tip: Winter Olympics will be airing live from 8 February 2018 on SRF. Click here for a direct link to SRF. Watch all live and on demand Winter Olympic events from HotStar. Don’t forget to connect to our India (IND) servers first before starting the stream! 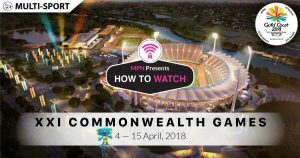 Updated 9th Feb: It appears that HotStar might not have streams available for the games. 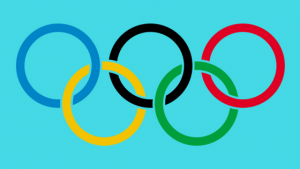 Fortunately, the International Olympic Committee (IOC) in a last minute decision, decided that the official Olympic Channel will live stream all winter games across India and the sub-continent. You’ll still need to connect to out India (IND) servers first to access the stream. 1) Head to the official Olympic Channel website. Tip: Winter Olympics will be airing live from 8 February 2018 on Olympic Channel. Click here for a direct link to Olympic Channel Live. Watch all live and on demand Winter Olympic events from 7Live. Don’t forget to connect to our Australia (AUS) servers first before starting the stream! Tip: Winter Olympics will be airing live from 8 February 2018 on 7Live. Click here for a direct link to 7Live. We hope you found this article informative and useful. 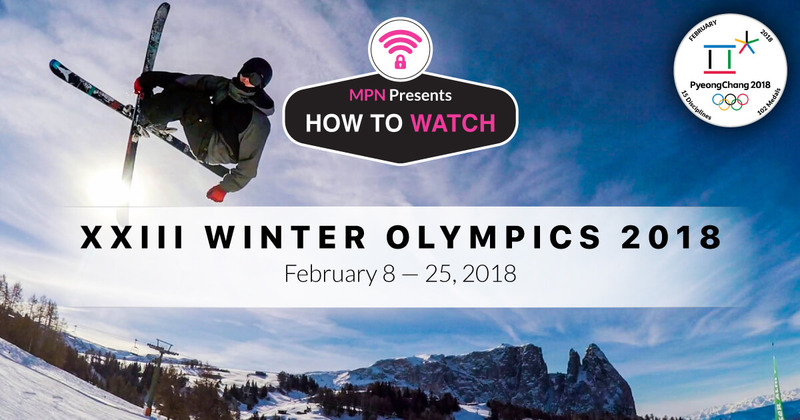 Please feel free to share it with your friends or family that want to watch the Winter Olympics too!